How to Create a Workspace? How to Copy a Workspace? How to Archive a Workspace? How to create Workspace templates for transfer and reuse? How to Create and Manage Card Types? You have to be an Account Owner or a Workspace Manager to be able to create and manage card templates in your Workspaces and boards. Templates are used to quickly create complex task structures with predefined attributes and subtasks. 2. How to create a card template? All templates are created on a Workspace basis and become available for all boards within it. Once designed, you only have to apply the template to the card and it will convert to the desired complex structure. Card Templates are created and managed from the Workspace and Boards Settings panel. - then select Manage boards. Note that you can use a shortcut and select Create Template. 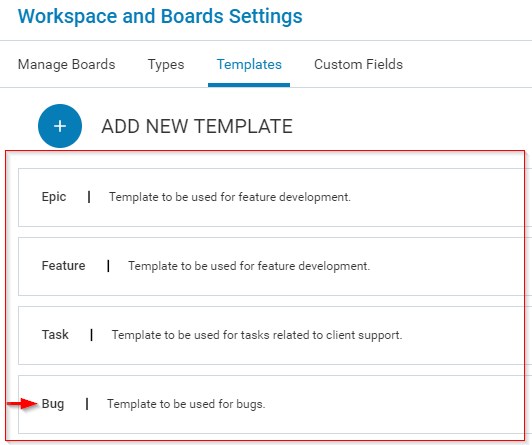 Step 2: In the "Workspace and Boards Settings" panel (img.1)-> select the Templates tab. Step 3: Click on the ADD NEW TEMPLATE (+) button to create a New Template. Step 4: Type the template name (Bug) and provide a description (Template to be used for bugs). Note that the description is optional. Click the checkmark sign to add and save the template. Step 5: The system brings up a standard Kanban card. Set up and save the properties that will be constant for the cards for which the template is applied. This will cut the time it takes to set up all the properties every time when a new card is created. - color: select a specific color that is dedicated to the bug-related tickets. This will create a better visualization for your team. - set up the card type to "bug" for better reporting further. - select custom field, relevant to the card if necessary. Click on Save details and the template will be saved and ready to be used. 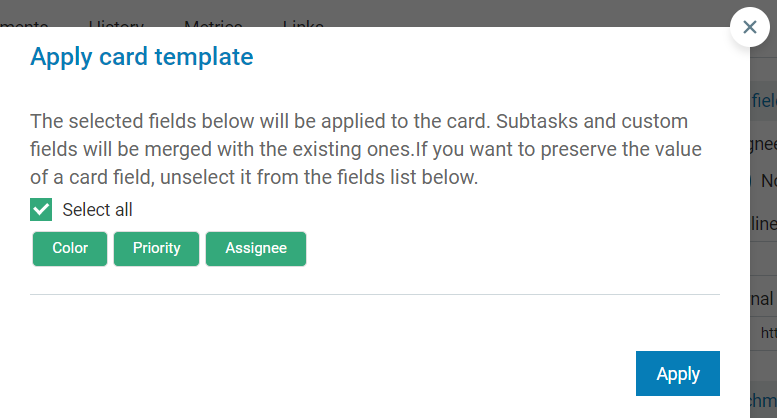 The template you create will be added in the List of templates and instantly becomes available in the Templates field of all cards in the Workspace. 3. How to apply a template to your card? To apply a template, use the Load template icon of a new or an existing card and select the template from the dropdown list. Every time, when you create a card and select the template (for example "Bugs") -> the newly created card will get the properties you have defined upon your initial template configuration. You will be able to either apply all predefined attributes or you can remove the Select all checkmark and deselect the values that you do not want to be preserved for that particular card. Click on "Apply" to load the template to the card. To Edit/Copy/Move/Delete templates, please use the Template settings to the right of each template name. 4. How to set up a default template to a board? If a board is designed for processing of a specific card category (for example: bugs) -> the Account Owner or the Workspace Manager can set up a default template for the board. In a result, every new card, created on the board automatically gets the template predefined design and structure. 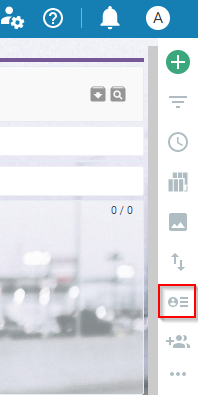 To set up a default template -> go to the sidebar at the right side of the respective board and select -> Configure Card View -> Board Settings. In the Board Settings tab -> select the template that you want to apply from the Default template dropdown list -> Save Board Settings.